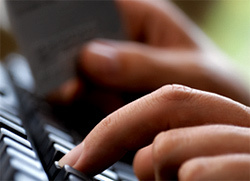 Online web site builder, website software, homepage creator, personal ecommerce - The Dot Spot - TheDotSpot.com. Now The Dot Spot Web Works Includes Complete EBAY Integration! Easily add your products to EBAY and gain added Exposure to the MILLIONS of EBAY Buyers! Forget spending thousands of dollars on a website designer or learning complicated HTML and website software. You can quickly and easily get your own Full-Featured Shopping Cart Enabled Website for as little as $19.95 per month - Hosting, Website AND Shopping Cart Included! That's less than you'll spend on Starbucks this month! 1) Pick the look you want for your site from a library of over 450 professional templates. 2) Pick the type of pages you want for your site. 3) Pick the name you want for your site. Finish by clicking the "Build Site" button and You've Built your Spot, live on the internet. The only thing left is for you to add the text and images you want to see on your site. 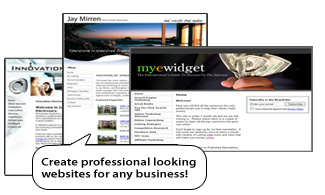 Click Here to try building your website now! Editing your website is as easy as typing a letter! To add text to your website all you have to do is type it into the easy word editor that looks and acts just like MS Word. Add an image with a simple click of your mouse. Choose your own images or from a selection of 1000 professional photos that are included FREE with your website. Now The Dot Spot Web Works Includes Complete EBAY Integration! Easily add your products to EBAY and gain added Exposure to the MILLIONS of EBAY Buyers!